Hanging things is not my gift but with GripIt we no longer have to worry about my decor falling off the wall! Does your hubby have a to do list 10 years long? Well, maybe not quite ten years as mine does occasionally do things on the list but getting him to hang stuff is not easy. It makes me crazy. This is why I am loving Grip It so much! It is kinda making hanging stuff my thing! Yay! 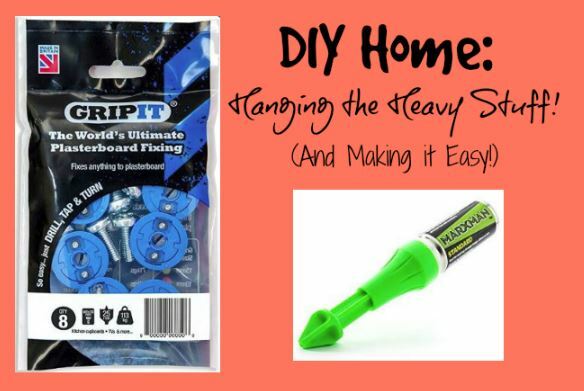 Enter GripIt Drywall Hanging Kit and the MarXMan Pen! The hanging kit makes it easy for me to hang things as I am terrible at finding studs and I no longer have to play guesswork with where to nail thanks to the pen! Just mark it, hang and go! If you didn’t see my post about another GripIt product with the hilarious story of toilet sitting assault, I highly suggest you read it. If nothing else, it will give you a really good laugh! The point of the post is about an easy way to hang your flat screen, but the story will make you laugh until you cry. It did me, when it happened, when I tell it and even when I wrote it down for you! I don’t know about you, but I can never find the stud. If I do, it’s on accident. I was taught how to do it, but I’ve never really been able to do. 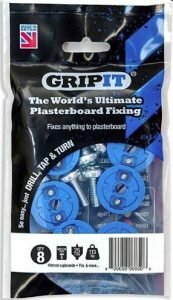 Thankfully I don’t need it with the GripIt Drywall Hanging Kit! It enables you to hang 113 kg (roughly 249 lbs) from your drywall safely! It’s great for hanging plants and shelves! 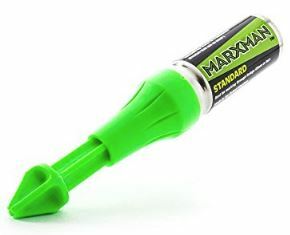 The MarXMan Pen can mark almost any surface, including granite, tile, cement, brick, metal, wood and more! It marks with a removable green fluorescent pigment. Each pen contains 250 bursts! Now you can mark the exact spot you need to drill so that there are no more slightly off center holes! There’s MORE! Just click the pic below!